I went to the library last week to return my borrow copy of Water for Elephants – Yes, I finally finished it, and yes, I loved it! While walking through the library’s lobby I stopped to check out the “discard shelf” and the “take a book, leave a book” box… After some digging, I found this gem! 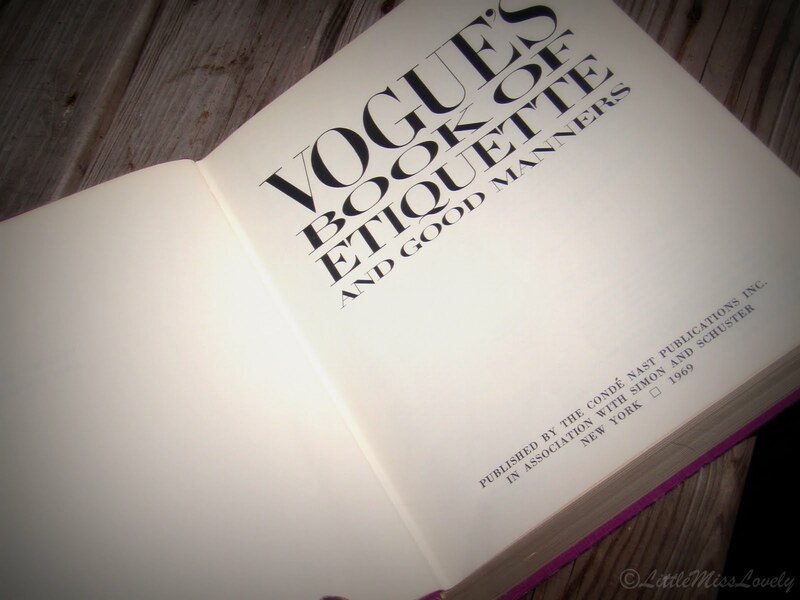 The 1969 publication of Vogue’s Book of Etiquette! Its fabric covered, purple back, and silver lettering caught my eye right away. If your library has one of these catch-all places for unwanted books, go check ‘em out! The huge, 750 pager discusses other things, too, from conversation, smoking and the opera, to family issues, debutantes and christenings, manners in business, moving to a new community, money, divorce and speaking to public officials. Its 9” by 11”, weighs more than 4 pounds, and is filled with vintage lovelies. 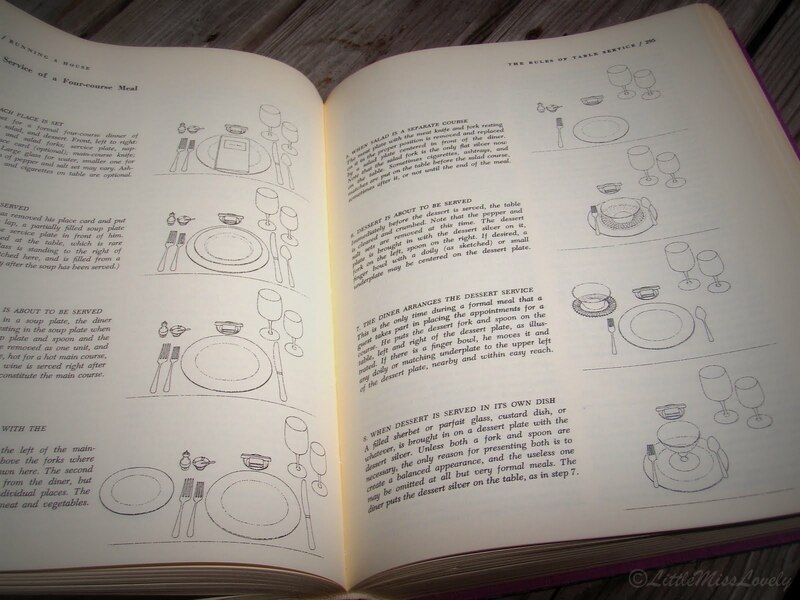 This 1969 publication is a charming reference book. 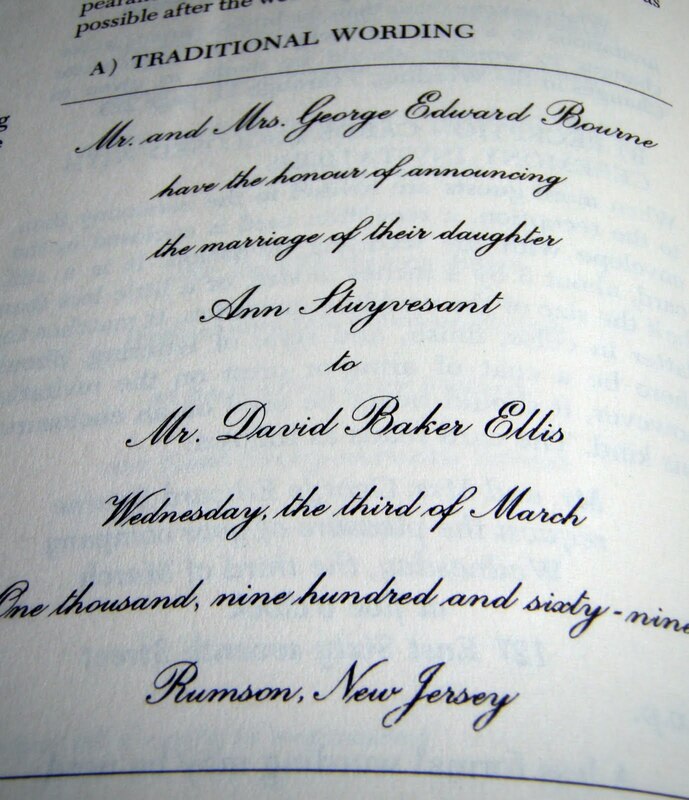 Can you imagine what the 2011 Etiquette Book might say if they were publishing like books today? Would text messaging be included in today’s dating rituals? What about ladies role in the workplace? It’d be intriguing, that’s for sure! You can really scoop up some vintage goodness anywhere. 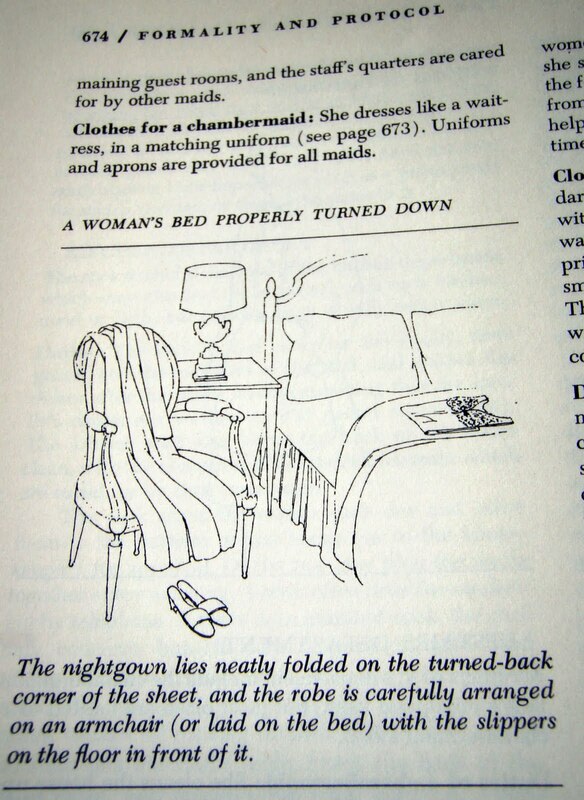 Do you have any etiquette books and do you get a kick out of reading them? P.S. Blogger had some crazy issues this weekend and deleted 2 of my previous posts, and all comments that went with them! Hopefully this glitch has been sorted out. Seems as though it has. Sorry to have lost your words. Quite frustrating! Awesome find! 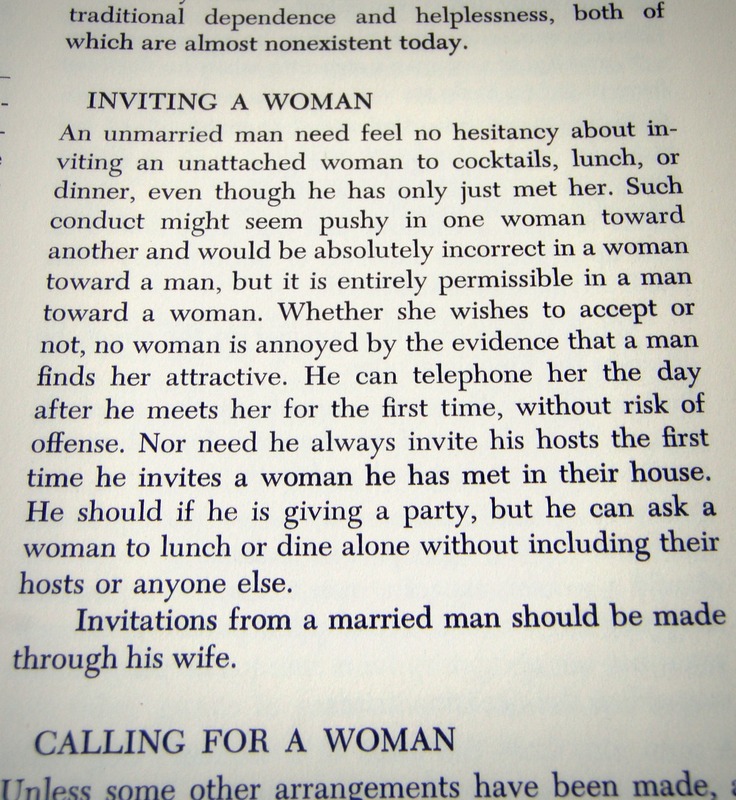 I bet the authors of that book would be amazed by the "etiquette" of women today! I'm interested to read more of the book! You should post some more pages!